Born in Baltimore, Joe attended the United States Coast Guard Academy immediately after high school. He subsequently earned two graduate degrees while completing his military service. Joe lived the typical career soldier’s life, moving from Maine to California to Virginia to Washington DC, then finally to #Wisconsin, before retiring as a Commander. Along the way, he served as Senate Congressional Fellow for Senator +John McCain, advising him on homeland security policy. Joe credits his success on the dealership floor to the discipline and strong work ethic he learned while serving in the military. 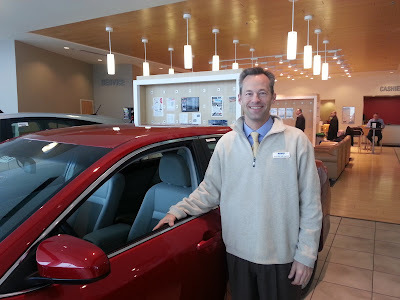 Now, his goal as a +Heiser Toyota Sales Consultant is to make sure customers get the best experience possible, from start to finish. The “ultimate victory” for him would be delivering a great customer experience alongside a great car. After a lifetime of travel, Joe decided on a final destination in Muskego, Wisconsin. Based on fond memories his family made while stationed in the state, it was an easy choice for retirement. Outside of the showroom, he enjoys spending time with his wife and three children, coaching youth baseball. Joe is also an avid golfer and maintains a 7 handicap. To hear more about Joe, email him at jmalinauskas@heiser.com.